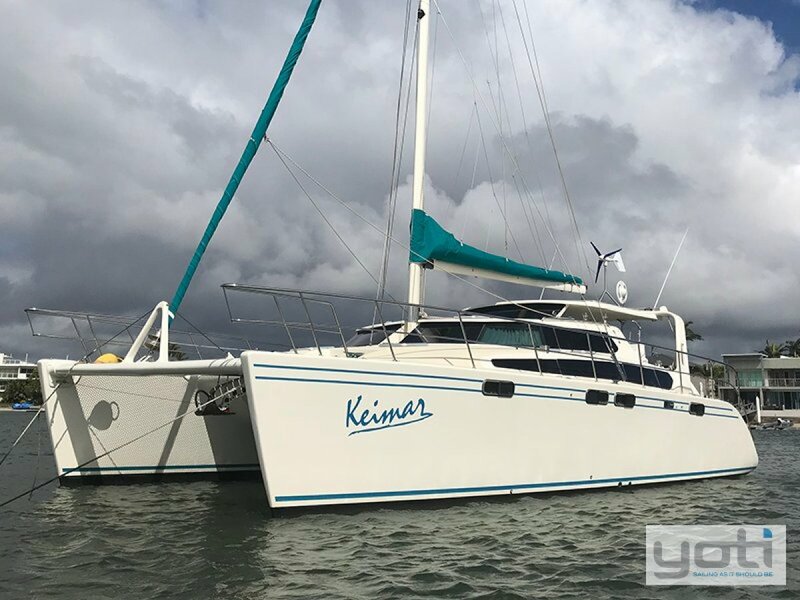 Keimar is a 1997 Peter Brady designed 40' sailing catamaran now exclusively for sale with YOTI Queensland. of two queen size berths and one double, there are wash basins in both the queen size cabins. In the portside hull there is a complete bathroom with separate shower, while the starboard hull has a separate head. 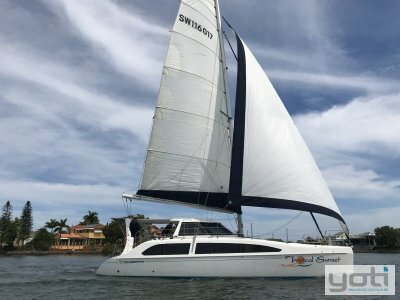 Fully equipped for cruising she has recently returned from a trip to the Whitsunday Islands, and is ready to hop on and sail away today. 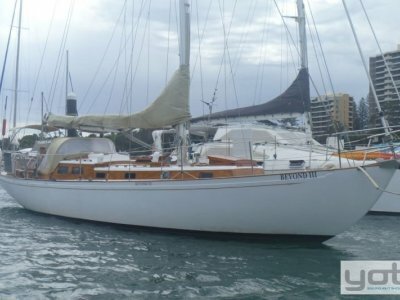 The rigging was replaced in 2011, Carbon Fibre mast to keep the weight down, she is powered by two x 32 HP Kabota Diesels. 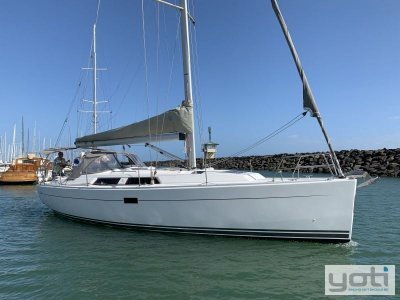 A full electronics package, three burner gas stove with wall oven, instantaneous gas Hot Water System, six solar panels and a wind generator, plenty of water onboard with 1000 litres storage. These are just some of her features. 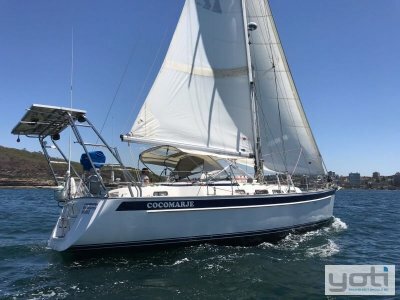 Contact Robert Vrind if you would like to inspect or require any further information. 2 x Kabota D1402 Mechanical steering. 2 x 175L alloy tanks. 1000L in 2 x tanks. 3 Cabins, 2 x Queen Size and 1 x Double. 22" TV + DVD, Kenwood CD player. 2 x 12 Volt can be Eutectic. 3 burner Gas with Separate Wall Mounted Oven. Manson Supreme 45lb + CQR + Danforth, 70 mtrs Chain. Epirb, Flares, 10 x Lifejackets. Batteries: 6 x 6 volt 220 Amp/Hour + 1 x 12 volt. 6 x Solar Panels, Wind generator, invertor. 12V halogen. 12V Nav lights. Garmin GPS. Clipper Sounder/Log. Navman Wind. New Coursemaster. Cetrek Chartplotter. Raytheon 16 M Radar. Sumuto Compass. Main. Genoa. MPS with Sock. Reefit Furler. Sloop rig. Carbon Fibre Mast. Alloy boom. Stainless Steel rigging (2011). Single Line Reefing. Bosuns Chair. Barlow winches, Dinghy Davits. Gas BBQ.